Please join us for a special book club Sunday, July 10 at 8:00 PM ET when we will be discussing the following questions. It is helpful to have your answers prepared ahead of time as the discussion moves quickly. Please do try to limit your answers to your top favorites to allow room for other answers. 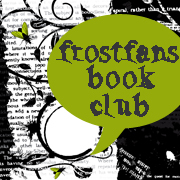 This book club is ongoing and open to anyone who would like to join us, you just have to be a member of the forum to post. As this is a re-read, please note that there may be spoilers mentioned and read at your own risk. Also…do bring your books as we will have a couple of trivia questions for prizes including an ARC of Jeaniene Frost’s upcoming release, One Grave at a Time! * What specific themes did the author emphasize throughout this book? * Did what the characters experience seem believable? In what ways can you relate to them? Even though we are dealing with a supernatural world, in what ways do their lives seem quite normal? * In what ways do the events in the books reveal evidence of the author’s world view? * What did you think of the end of the book? Were you satisfied? Anything missing? How does it lead to the next book, EKOD? Please, do not stress about this. Sit back and think about what some of your fav. highlights were. What still cracks you up when you think of FDOC? This is really designed to be more informal chatting, “wasn’t that great when?” It doesn’t have to be your ULTIMATE favorite. There are no wrong answers. This is intended to be fun! Note: Following the wrap-up, we will take a week off to consider the function of book club before starting our next read. Stay tuned and we will make an announcement soon.